Cue the loved up facebook statuses followed by the statuses moaning about said loved up people. Oh and don't forget the guys moaning about Valentines day being a commercial holiday made to get money out of you. Love it or hate it, I'm sure we all saw our fair share of Valentines social media posts. As much as I like Valentines Day, I'm not a huge lover of date nights. As a self confessed lazy person with a hint of anxiety I much prefer the comfort of my own home. Why you ask? 1. I can eat as much as I want without judgement. 2. I can shove as much food in my mouth without looking like a pig...well the dog and the boyfriend might see but they’re pigs too. 3. We can watch TV and eat at the same time! No deciding on cinema and then dinner or rushing dinner to be on time for a movie. 4. I love dressing up but there’s nothing quite like a new pair of Pjs! I could go on but I already sound crazy enough. This valentines day I decided to make the ultimate lazy, treat weekend. I went full cheese and put up paper hearts around the living room, pushed the sofa close to the TV to make a cosy den, sprinkled some fake rose petals and tea lights around the beloved TV to create some ambiance. The best part of a date night is the getting ready. I love a nice new outfit and making myself look all pretty, so on this occasion I put my make upon like any other date and bought myself and Luke some new comfy pyjamas. 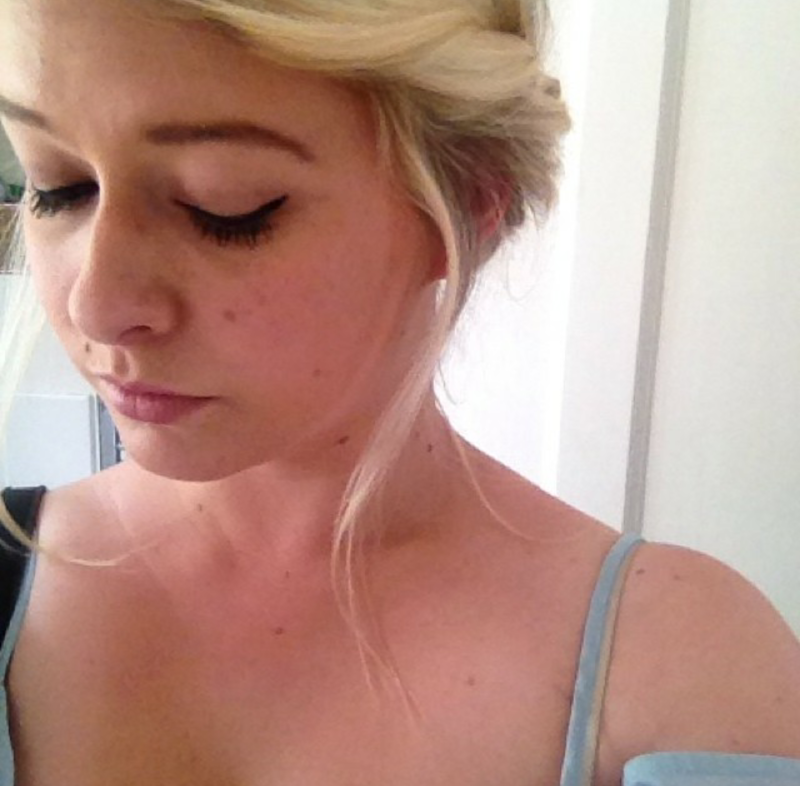 The make up helps with not feeling like a slob. I started the day by baking some heart shaped pies with cherry, apple and Nutella fillings (separate pies not all flavours in one!) served with croissants (store bought) and home made strawberry milkshake. Lunch was a huge cooked breakfast and dinner was a take out pizza, courtesy of Luke. We went full out watching movies on Netflix and Now TV, we ate until we had food babies and drank plenty of booze. It was the perfect Valentines Day, I feel this stay at home Valentines Day may become a tradition. 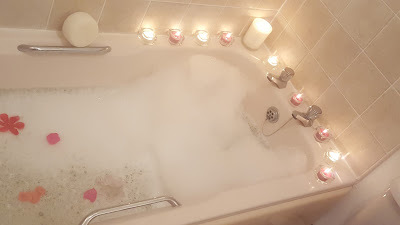 And while Luke gets to play some Xbox I can finish off the weekend with a hot bath, a glass of red wine (or two), Yankee candles and enough smelly bath stuff to knock you out.